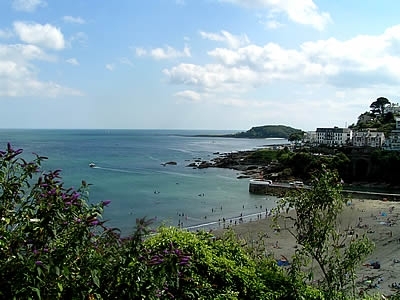 The East Looe beach and seafront is the most visited of the Trust�s properties by a large margin. 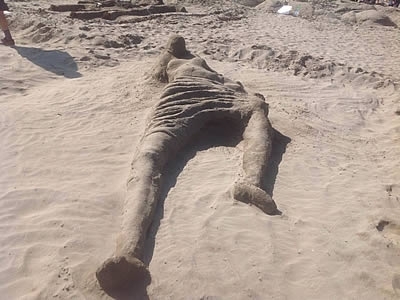 Generations of visitors to the town have strolled through its narrow ancient streets until they arrive at the seafront at the edge of a broad arc of bright sand and clear blue water. Looking South on a clear day the famous Eddystone lighthouse is visible on the horizon. 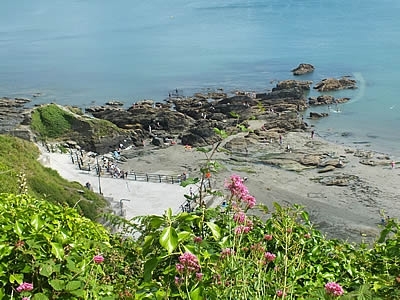 Protected by Joseph Thomas� iconic Banjo pier to the West and Pen Rocks to the East, the gently sloping sandy beach provides safe bathing, in water which is quality tested weekly. 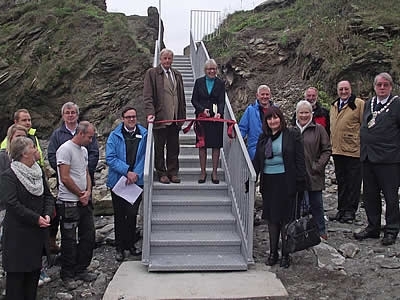 Visitors and local residents enjoy the seafront free of charge � although it represents one of the largest items of expenditure for the Trustees, who fund it from their own charity income and receive nothing from council tax. 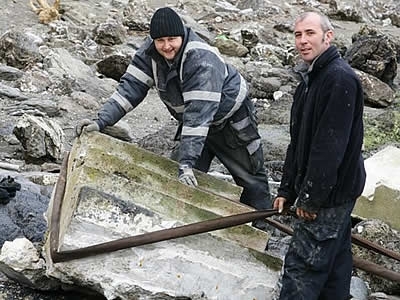 Our regular workforce of two is joined by one, or more, Summer seasonal staff, who are out bright and early seven days of the week to make the seafront safe and clean before visitors arrive. 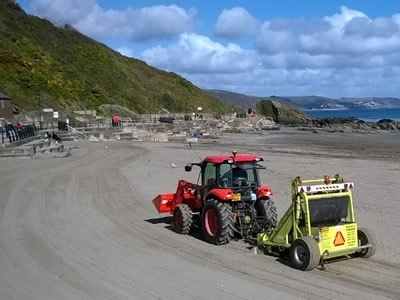 Our tractor tows a state-of-the-art screening machine over the beach to clean it and remove dangerous items. Bins must be emptied throughout the day (over 20,000 bags a year are collected), maintenance and repairs completed � and yes, a low tech broom employed to complete the job. 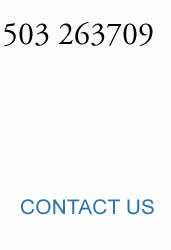 Our utility vehicle removes all the waste to a storage area for collection by Cory Commercial. Dogs are not permitted on the beach at any time, but there are plenty of dog-bins on the seafront to help owners play their part in keeping it clean. 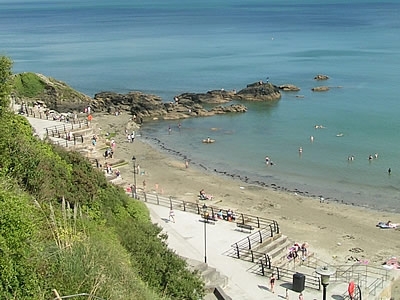 We�ve done our best to make sure that people using the seafront have everything they need. 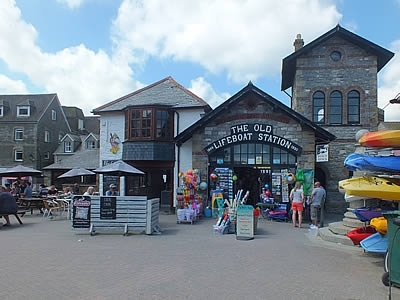 Two, well positioned beach cafes serve good food, drinks and ice creams, while another seafront business sells all your beach and holiday goods. 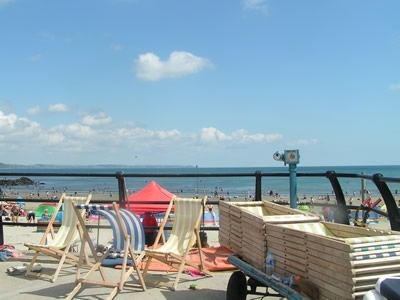 Deck chairs and windbreaks can be hired, and children� s rides are available too. 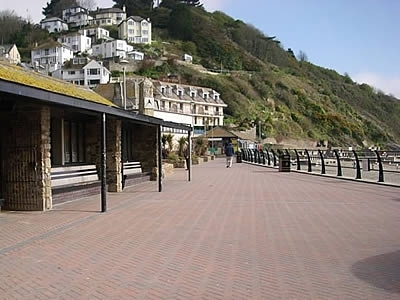 (Seafront public toilets are provided by the council, while the town�s full range of great shops and restaurants are close at hand). 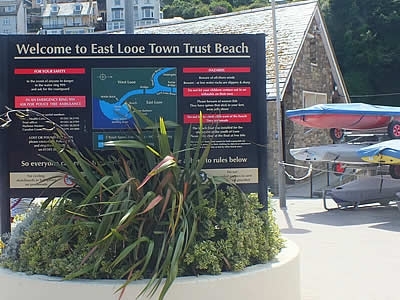 The seafront is enlivened by the Mirrors, Redwings, and Enterprises of The Looe Sailing Club which stand on a small area next to Looe�s magnificent new lifeboat station. On summer evenings and at weekends their sails provide a colourful spectacle as they race in the bay. 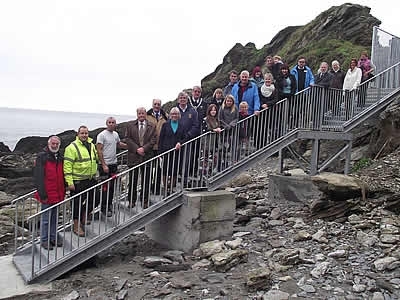 Further East, the Trust is delighted to be able to support the Looe Rowing Club with significantly reduced rent on their gig shed which was opened in 2009, on land made available by the Trust. The club is thriving, and with an influx of young members the seafront springs to life on summer evening as the gigs are launched for training sessions. Finally, as we approach Pen Rock to the East, the seafront takes on an interesting futuristic appearance; with a matrix of sea defence features which zig-zag up the East Cliff high above the beach. 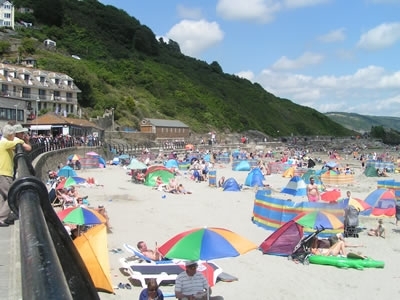 Sea defences they may be, but on sunny says they are occupied by picnicking families or sunbathers, and perhaps better described as Looe�s Lido. (Those wanting to practice their slam dunk will find a basketball hoop available). 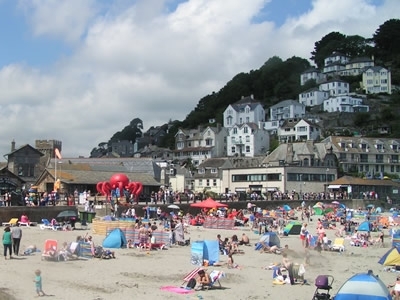 The Trust is delighted to host a range of seafront events throughout the year, such as the annual Looe Raft Race, which starts from the beach. 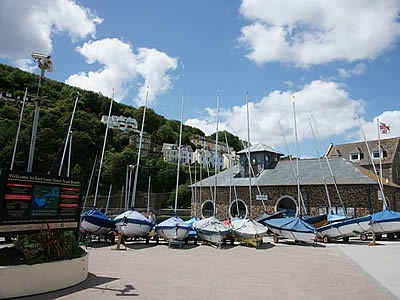 The seafront is sometimes a national sporting venue when national dinghy sailing championships take place, skilfully organised by Looe Sailing Club. 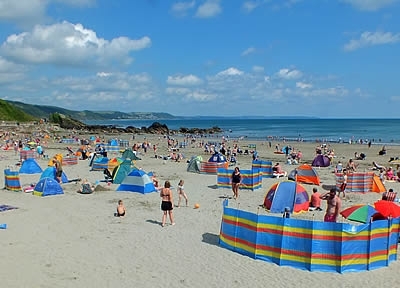 Charity beach sports, sandcastle competitions, Looe Festival by the Sea, radio station road-shows, steel bands, banjo bands, our seafront is a place to be enjoyed free of charge by one and all. 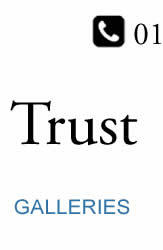 Performers may be required to stop playing at the absolute discretion of the Trust staff. For further information contact the Trust office.